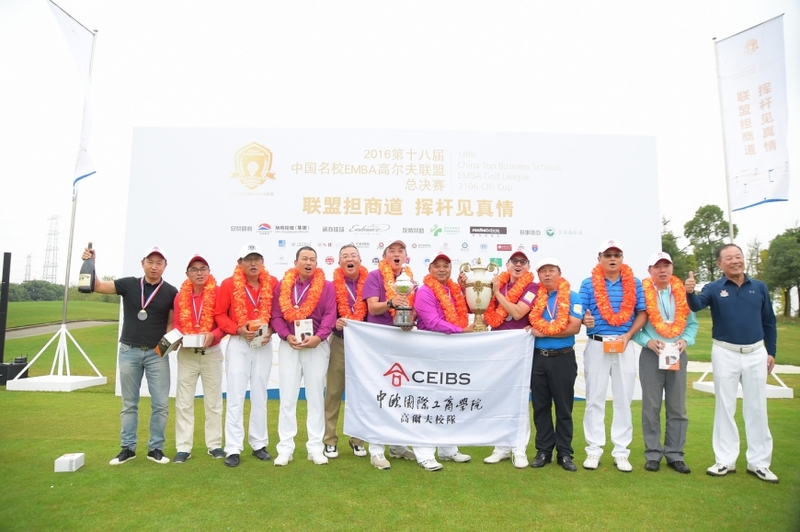 When the results of the 18th China Top Business Schools EMBA Golf League CIFI Cup Competition were announced last October, the CEIBS Alumni Golf Club enthusiastically cheered their victory. They held up their glasses and toasted each other; their applause shook the venue. As one of the founders of this league competition, the CEIBS Alumni Golf Club has participated in every contest. However, during the 17 previous ones the CEIBS team always lost the match in the end. This winning moment was a long time coming. 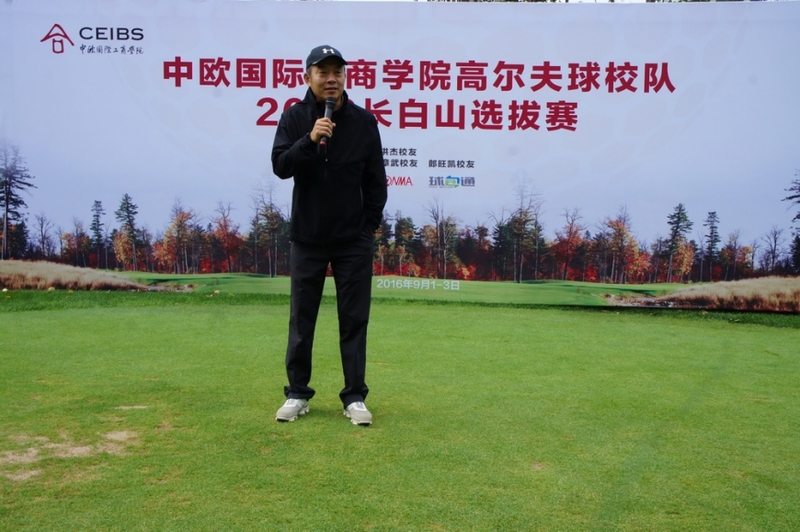 In 2013, the leaders of the CEIBS Alumni Golf Club branches in East, North and South China suggested that Wang Tong (EMBA 2003) captain the Club’s School Team, which represents the Club in external competitions. Under his leadership, the School Team introduced a selection system, which increased alumni’s sense of honour, helped attract talented golfers, and finally resulted in the team clinching the long-dreamed-of championship of the League Competition in 2016. According to Wang Tong, CEIBS’ “合” (which means cohesion) culture and the atmosphere of unity and mutual assistance in the alumni community played a key role in this accomplishment. 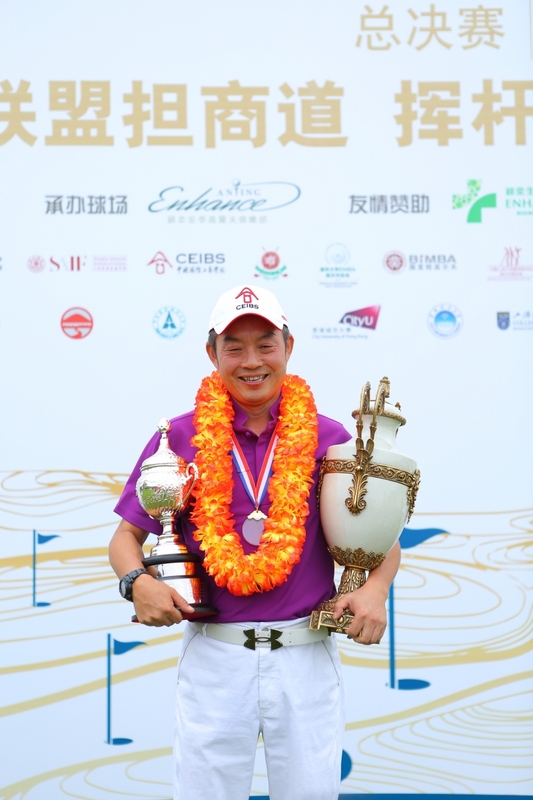 Read on for TheLINK’s exclusive interview with CEIBS Alumni Golf Club Team Captain Wang Tong. TheLINK: When did you begin playing golf? Why do you love the game? My first encounter with golf was in 2002. Its slow tempo allows for conversations during a match, which makes golf a sport that is ideal for business people. It is also very challenging. It requires both strength and precision. It’s a very complicated sport. TheLINK: How did you become captain of CEIBS Golf Team? 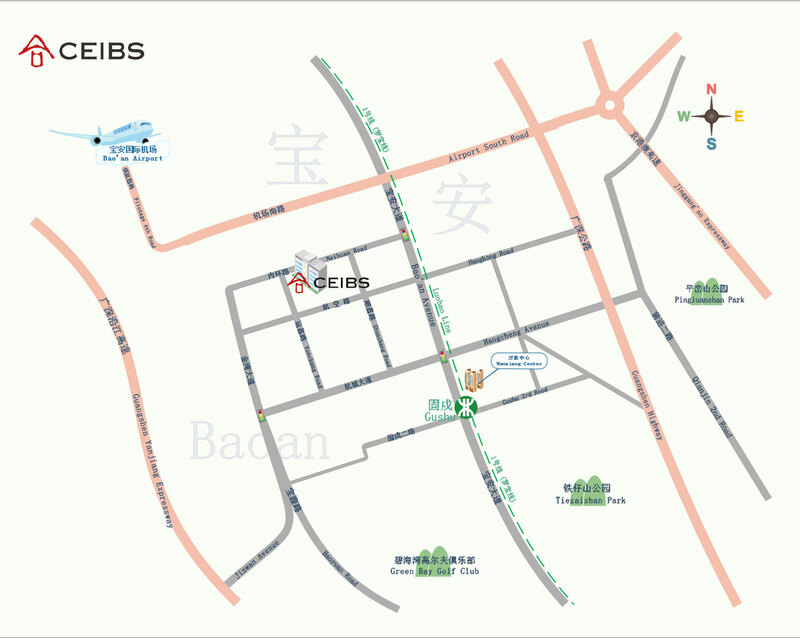 The CEIBS Alumni Golf Club has branches in East, North and South China. The three branches have their own competitions every year: the President’s Cup in East China, the Great Wall Cup in North China and the Lunar New Year Cup in South China. CEIBS alumni who like golf naturally join the club. The club set up the CEIBS School Team in order to prepare for the China Top Business Schools EMBA Golf League Competitions. At first, the team comprised members that were sent by the three branches. In order to improve the school team’s performance, during the President’s Cup competition in 2013, the leaders from the three branches suggested that I take the position of team captain. I had been an active member of the team and frequently participated in many competitions. I thought it was also an opportunity for me to make a contribution to the alumni community, so I happily accepted. TheLINK: What measures have you taken to build the strength of the CEIBS team? Once I was selected as team captain, I felt I had to make an effort to lead the team to make some achievements. As you know, CEIBS alumni are busy people, and many of them are entrepreneurs or executives. So it’s hard to manage the team. However, I was also aware that CEIBS alumni love their alma mater. So I began by rousing everyone’s passion and sense of honour. Next I established a mechanism to select and enrol team members, instead of continuing with the previous system, which relied totally on alumni availability. More than 20 people signed up for the CEIBS Alumni Golf Club School Team’s qualifiers in 2013 and 10 won a place on the team that participated in [the China Top Business Schools EMBA Golf League Competition]. The team won second place that year. Now there are more than 50 alumni who sign up to compete for a place on the School Team. They are all highly-skilled golfers; however, every year the School Team members are chosen through qualifying matches. Many alumni are leaders in their companies, but when they succeed in the qualifiers, they will post it on their WeChat Moments and they regard this as a hard-won honour. Because of this sense of honour, every year we have gotten many alumni sponsors who have helped us improve our accommodations, reception, uniforms, and equipment. 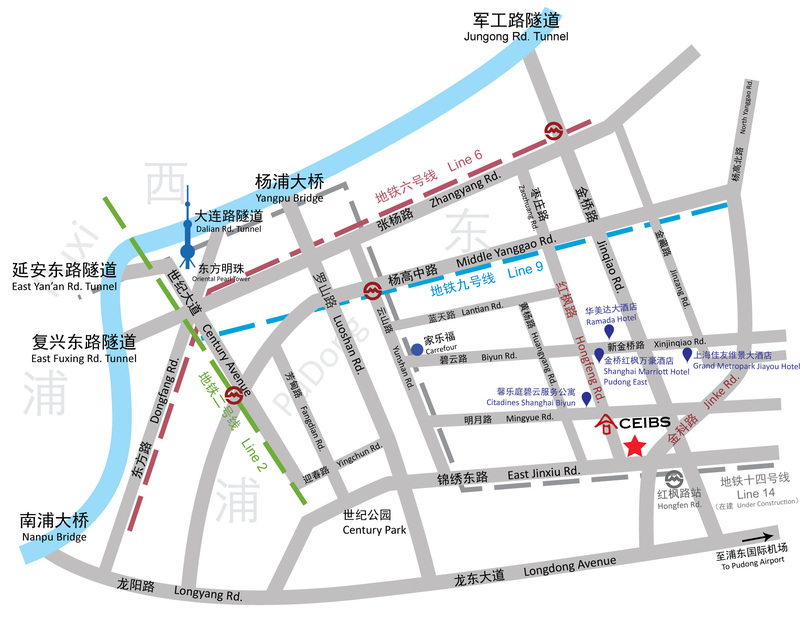 TheLINK: What are the main reasons why CEIBS won the League Competition this time? Good luck played a role, of course. Year 2016 marked my fourth year as the CEIBS Golf School Team Captain, I have seen the team win two second place and two third place finishes in the past three years. 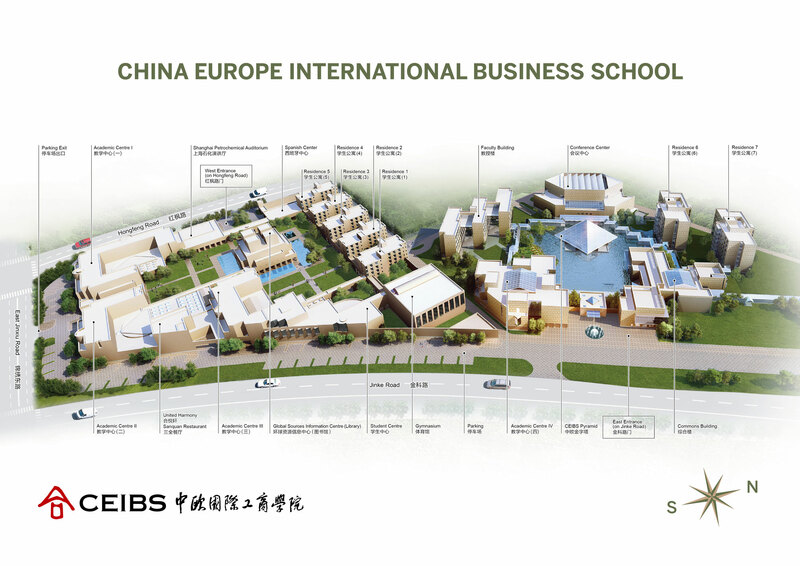 In general, CEIBS is already among the top of business schools’ golf teams. The foremost reason for our championship this year is the expansion of the club. Thanks to the School Team’s selection system, there has been increased interaction between the three branches of the Golf Club. In the past, alumni were not used to travelling to other cities in order to attend a club event. Now when events are held in East China, North China or South China, we tend to limit the number of local alumni participants and reserve more places for people travelling from other regions. With more and more people joining these events, an increasing number of qualified alumni are attracted to the Club. We attach great importance to team spirit, since it’s not a game played by individuals, but one based on teamwork. The first day of the competition was four-ball match play, and the second day it became a two-ball match. The members of the school team have met each other at the Club’s events many times over the years. After they became familiar with each other, they began to play golf together more often, and got to know each other even better. This championship can also be greatly attributed to this familiarity between team members. Last but not least, I’d like to extend thanks to the alumni for their sponsorship and to the school for its support. TheLINK: Are there any specific strategies that are helpful on the golf course? Certainly the players need to have good skills and know how to work with each other, although this is also a strategy adopted by other business schools. During the match, our biggest advantage was our strong team spirit. We encouraged each other, but were not overly elated by success nor disturbed by failure. Alumni travelled a great distance to cheer for the players. The atmosphere was exceptionally good, making the players feel supported. TheLINK: What is next for CEIBS Golf Club? Everyone was happy after winning the match. I think this will greatly promote the development of the CEIBS Alumni Golf Club, which will encourage more people to join in, and the long-time members to polish their skills. This is good for the long-term development of the organisation. In future, we will fight for every championship for sure. However I think the ultimate goal is to promote communication and exchanges among golf lovers in the CEIBS alumni community. Old school ties are more valuable than the championship itself. TheLINK: How do you keep work-life balance while taking care of Club business? I love CEIBS, and I’m fond of golf. Taking responsibility for something means spending time on it. However, I am not the only contributor. Everyone is giving. The Club heads and secretaries in the three locations have certainly made more contributions than I have. Alumni such as Lu Wenchun, Lang Wangkai, Wu Weizhi and Liang Qihua have helped a lot to build the school team. Other major contributors include our main alumni sponsors such as Shang Wangyi, Wang Hongjie, Weng Wenbiao, and Shao Yang. In 2016 we hosted the qualifiers in the East China region under the leadership of our alumnus Tang Yuhua. The participants were from nine higher education institutions including Fudan University and Shanghai Jiaotong University. Tang Yuhua has dedicated a lot to the organisation of these qualifiers. Special thanks also go to the secretary of our School Team, Yang Zhan. Although she is not a CEIBS alumnus, she is a golf expert. She has helped the CEIBS Alumni Golf Club School Team organise many competitions and has great affection for CEIBS. Wang Tong, Xu Hongwei, Jiang Guangcheng, Gao Zhen, Xu Xuejun, Zhu Ming, Huang Yuanjiang, Wang Yi, Wang Daming, Yin Wei, Jia Huiqin, Lang Wangkai and Wang Hongjie.